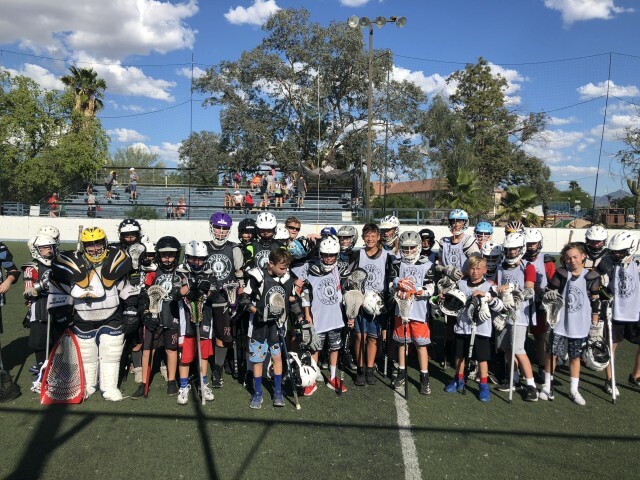 Updated Sunday April 14, 2019 by Arizona Outlaws Lacrosse. The Arizona Outlaws are offering Box Lacrosse training for Youth aged players (10U, 12U, 14U). This program is designed to introduce the game of Box Lacrosse and help develop our young players stick skills and IQ's, while having a lot of fun. 14U - SOLD OUT! No more remaining spots. **Registration is closed contact Coach Prepchuk for registration options. Not only is Box lacrosse extremely fun to pay, Box lacrosse is the best way for our young players to learn to play the game and develop skills. Players develop their stick skills at an accelerated rate due to playing in tighter spaces and increased touches with the ball, since the ball never goes out of bounds, and there are fewer players on the game field. We hope you join us at Casey's SportsWorld - Casey at the Bat. Each training session will consist of Box Lacrosse-specific drills, followed by game play/scrimmages. Cost: $135 for individuals *Includes Arizona Outlaws Lacrosse T-Shirt. ​​Training Facility Location: Training sessions will be held at the Casey's SportsWorld - Casey at the Bat at 3947 E Union Hills Dr, Phoenix, AZ 85050 at the outdoor rink. Questions? Contact Coach Ben (at Ben@ArizonaOutlawsLacrosse.com ) to discuss participation options. Arizona Outlaws Box lacrosse leagues and Outlaws Travel Box teams are members of the United States Box Lacrosse Association (USBOXLA). All participants MUST have a USBOXLA membership. We hope to see you on the floor!